Susie Galyardt has grown XIOSS exponentially and landed at No. 1 on CRN's Fast Growth 100 list in 2012 and in the top 50 on CRN's Next Generation list of solution providers. Susie is recognized as a leader in the industry and an advocate for women in technology and business. Susie has earned various awards and distinctions, representative of her efforts and accomplishments as CEO of XIOSS. Susie is a member of Technology Association of Georgia (TAG) and is a staunch supporter of women in business. 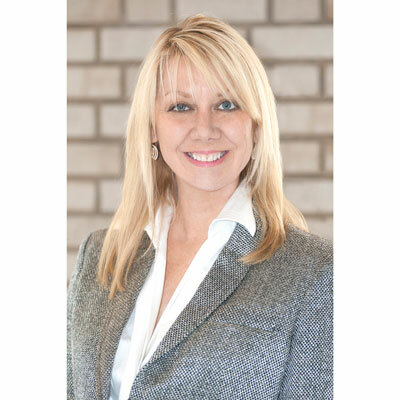 Susie spends countless hours serving on Women's Business Enterprise National Council (WBENC) Forum Committee and Greater Women's Business Council (GWBC) Board of Directors where she has initiated and chaired numerous committees. GWBC has recognized Susie in the top revenue Trailblazer category, named Volunteer of the Year, named 2014 Advocate of the Year, received Dartmouth's Tuck Business School Executive Education and received WBENC's 2015 prestigious Dorothy B. Brothers Scholarship to Harvard Business School Executive Education Program. Susie also serves on the Board of Directors for The Edge, a non-profit organization who has been supporting Georgia entrepreneurs. Susie earned her Bachelor of Science Degree from Auburn University. Galyardt worked closely within the industry and added best-of-breed technology partners to the XIOSS portfolio resulting in increased sales activity within existing accounts while being able to provide clients with a variety of optimal solutions. This resulted in these organizations having a competitive advantage, increased business productivity, and a reduction in operating costs. XIOSS will continue to evaluate new and leading-edge technology partners in the channel and consider expanding our portfolio of products and services even further. Our clients' business and IT needs continue to evolve necessitating us to have "a pulse" on the solutions continuously being introduced into the marketplace. In 2017 Galyardt was nominated for Greater Women's Business Council's (GWBC) Advocate of the Year award, an award recognizing and honoring the proven methods of mentoring, coaching, and supporting women-owned businesses. GWBC is a regional partner organization of the Women's Business Enterprise National Council (WBENC). Meg Whitman, whose list of accomplishments seem to be never ending, is Galyardt's most admired woman. Most recently she retired from Hewlett Packard Enterprise as President and Chief Executive Officer, but also served as President and CEO of eBay where she oversaw its expansion from 30 employees with $4 million in annual revenue, to more than 15,000 employees and $8 billion in annual revenue. Not only has she been accomplished in business, she also utilized her skills in helping run two presidential campaigns and then her own campaign for the Governor. Meg is an inspiration to us all. Be bold and think big! Failure may come along the way, so fail fast, learn quickly, pivot and proceed. And as Winston Churchill once said, "If you're going through hell, keep going!" Coding.... It's the necessary job skill of today. Tools of Titans by Tim Ferris. While Ferris doesn't recommend skipping over the "health" section, Galyardt left that for last. The book itself is an aggregate of information from interviews with 200 top-performers in the world, from various aspects of life. They share their wisdom, insight, favorite books, and much more information. The way Ferris uniquely compiled the book allows the reader to cross reference the material quickly. It's a book that won't leave your bedside stand, as it's easy to pick up and hard to put down.